Natasha Chanda Acharya, started Natsy by Design which was a result of her love for travel and exploration. Natsy by design is a unique enterprise to bring out some of the oriental and indigenous work of the artisans from this vast Indian Subcontinent. At times when Gucci, Versace, Jimmy choo ,etc., are reigning the Fashion Industry, we find our very own artisans, weavers who have been left handicapped with the raging fad for these products. Natsy By Design, aims at reviving and patronizing these oriental treasures coming from remote parts of the country, through this Online store. The whole idea of starting Natsy By Design germinated, when Natasha noticed her skill for some exquisite handicrafts while she travelled across the country and when she came back, these handicrafts were largely appreciated and taken by her friends and thus, started hand Natsy By Design. This remarkable store has over 1000 precious handcrafted products which includes - Vintage bags, hand-woven sarees and dupattas in natural fabrics, indo-western apparel, hand-made collectables, antiques, masks, wooden serve ware, block-printed home furnishings, folk paintings, rare nomadic, tribal, and ethnic jewelry, and lots more. Where each of these products are carefully handpicked by Natasha. Interestingly, each of these products have a story behind them, from its origins to the land it belongs to, the artisans and the indigenous population. Through this venture, Natasha wishes to bring out these splendid crafts that are made in the remote areas of our country, which otherwise aren’t noticed. Some of these products here, take us back in time, some of the paintings, like the Warli paintings - Warli tribal paintings are traditionally done by an indigenous tribe called the Warlis who live in the Maharashtra-Gujarat border area. Warli mural paintings are believed to date as far back as 3000 BC. Originally painted on hut walls with rice paste and gum to mark occasions like weddings or harvests , the artists have now moved on to ink and acrylic on paper and canvas. In the 1970s, this predominantly ritual art form was popularized again by the national and international recognition of Jivya Soma Mashe, an exceptional artist of this form; The Mithila paintings: Legend has it that Madhubani paintings or Mithila Paintings originated at the time of the Ramayana, when King Janak commissioned artists to do paintings at the time of marriage of his daughter, Sita, to Lord Ram. The modern world was introduced to Madhubani paintings after the drought in the 1960’s when the local population had to look at occupations other than agriculture to sustain them and the Talapatra paintings : The origin of Patachitra and Talpatra paintings is linked with the famous Jagannath temple of Puri, which was built around 10th century AD. The style has been kept alive over the centuries through the patronage of millions of pilgrims who come to the shrine of Jagannath and buy these paintings as souvenirs. Natasha works with artisans from various parts of the country. “I think I’m the only retailer who feels sad, to have my products sold! Here, each handicraft has its own story and I carefully handpick each of them. Each of them are so unique and one of a kind indeed, hence I grow attached to them” she quips. The store is Indian-centric, not only does it aim to provide a unique and secure shopping experience for its customers but also, collaborates with other designers and artisans who wish to list their product with them. “This is my endeavor in preserving and promoting these indigenous handicrafts that we have in our country and making it accessible to people all over the world, I often find some of these precious products in flea markets and at throw away prices in few remote parts of the country” she says, “It’s quite challenging as I hold the role from a chairman to a chaprasi here”. But after quitting a corporate job and starting her own venture, this lets her travel, explore and dig deep into these oriental crafts and all that she is passionate about! Any facts, figures or references stated here are made by the author & don't reflect the endorsement of iU at all times unless otherwise drafted by official staff at iU. This article was first published here on 25th January 2016. 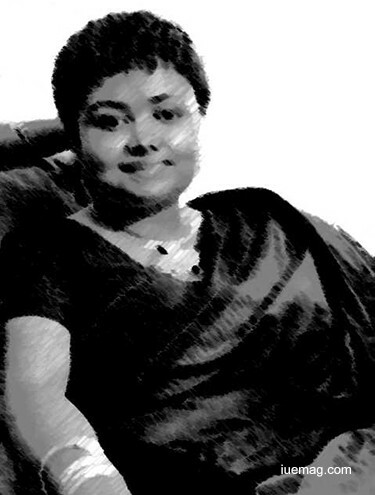 Sharanya Iyer is a contributing writer at Inspiration Unlimited eMagazine.